JF20 high percentage of tin with aluminum alloy bushing is backing on low carbon steel, pressed with AlSn20Cu as liner. It has fairly good performance in anti-fatigue and good load capacity, anti-corrosion and smooth sliding movement. 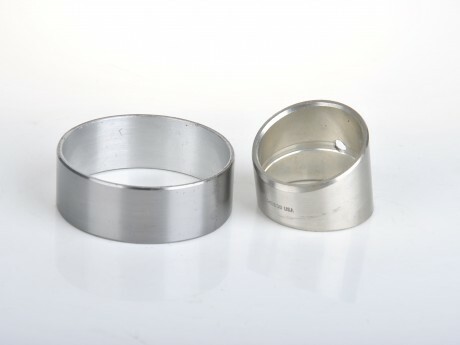 It usually used as engine bearing with middle or low power, air compressor bushing. It is a good substitution for Babbit material.